What Were They Thinking?! : Haters, Haters, Haters!!! Let’s get things started quickly this week. If you haven’t listened to the UCB Radio Hour this week, CLICK HERE. Otherwise…let’s get into it! I know the guys spent a lot of time talking All-Star voting and deserving Cardinals players…but I just can’t make myself get into worrying about the ASG at this point. Sure, Yadi is a sure thing, Beltran is sluggin’ his way into the picture, and guys like Freese and Holliday could make it as back-ups with a strong couple weeks in June…but I’m more concerned about how healthy everyone is going to remain through July at this point. I would just as soon see all the Redbirds skip the ASG festivities this season…but that won’t happen – especially with the game in KC this year. The guys talked a bit about four out saves versus three out saves – or some such thing – and why some closers struggle with multiple-inning saves. Of course, the common belief is that a guy isn’t “geared up” to pitch multiple innings if he’s a closer. It throws him off. Messes with his head. 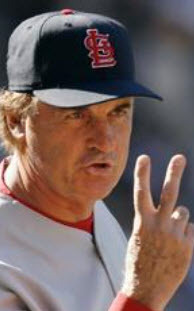 And of course, Bill and Rob rightly pointed out that a guy should be on the mound to just “get outs,” regardless of the inning and/or situation…and yet, we still see closers struggle with 1+ innings of work. I’ve always wondered why that is, and I think I’ve almost convinced myself it has more to do with the hitters than it does the relievers. 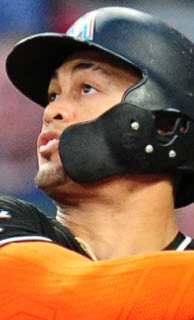 I think a lineup that has a chance to face a guy, sit down and breathe, then face him again has a better chance – even though the hitters facing him in the second inning of work are different than the first inning of work – than if they only saw him for one inning. I think it has to do with the flow of the game. 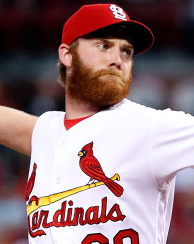 Even though a team knows the 9th is going to be covered by a guy like, say, Jason Motte, they still tend to get “ambushed,” in a way, by that 99 mph fast ball of his. By the time they get to take a breath and gather their composure, the game’s over. On the other hand, if you see Motte come out in the 8th and just mow guys down as they try desperately to “sit dead red” and slap his heater, you may go back to the bench and say, “Wow…I just saw Helton go down hackin’ at that thing. 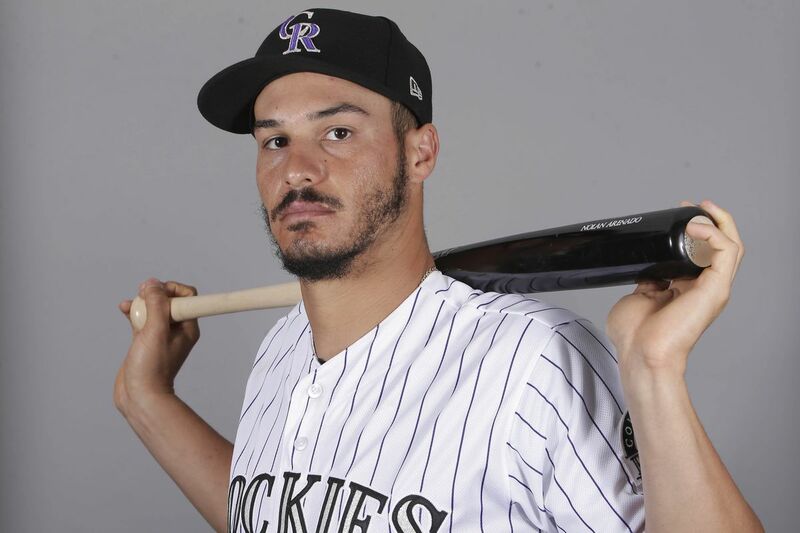 I may have to adjust my game plan here a bit.” I don’t know…it’s an unlikely theory, but I just wonder if the chance to reset or reboot in between innings knowing who you’re going to face on the mound when you come up helps a hitter better prepare to face him. Probably not…but it’s a thought. 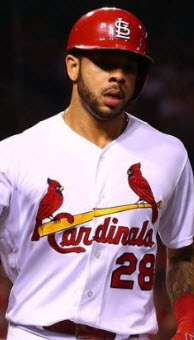 One of the guys – I believe it was Bill “The Hater” Ivie – asked the question, “Can Skip Schumaker and Jon Jay exist on the same roster?” He then used that question as a clever intro into a Skip-hatin’ mini-tirade (love ya’, Bill!). Look…I understand the need for the question – Skip is most valuable as a LH CF option that can hit .300 but Jay is the more valuable version of that same skill set – but let’s be real for a minute. The very reason for Bill’s question, that Jay and Skip haven’t exactly been healthy at the same time, is also the answer to the question. Personally, I’ll take a LH’ed .300 MLB hitter who can play all three outfield positions well, start every day at 2B if needed, and play a few other positions in an emergency any day of the week. Add a plus arm and the fact that he’s consistently identified as a “core glue guy” in the clubhouse…and what’s the problem? I really don’t understand the rush to eliminate a guy like that from your roster. And let’s just give the “Skip’s horrible at 2B” gripes a break. He’s good enough to start every day on a major-league roster. He’s much better than he was the first year or so at the position. Now I know why Bill and Rob are paired up on the show – ’cause they’re both haters!!! Bill’s dissatisfaction with Matt Holliday is well-known, but last night’s show gave Rob the chance to voice his not-so subtle displeasure with our number three hitter. Without going into a long-winded defense of Holliday, I’ll just point out a few things and then move on. First, Rob jokingly said all of Holliday’s ten homers were solo shots. Not true – just to be clear. Six of Holliday’s shots came with no one on base. Four came with at least one runner on. Do many of his homers come in losing efforts? It sure seems that way, but I don’t know that something like that should be held against him. 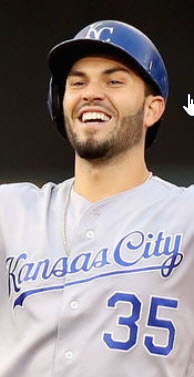 After all, if we lose and he hit a home run…it doesn’t sound like anyone else was exactly able to figure out the opposition’s pitching as well as he did. Oh…and I should point out that Holliday has 37 runs scored – second only to Furcal’s 39 (our lead-off hitter!) on the team. And his 28 walks leads the squad. 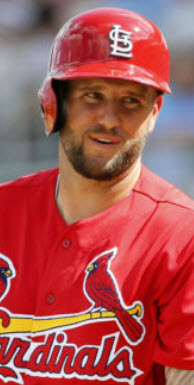 Combine that with a .271 average, 10 home runs, and his 35 RBIs (second only to Beltran) – not to mention the fact that he’s hitting .314 over his last 10 games – and Matt Holliday is doing just fine. He’ll do better, yes…but let’s not trivialize what he IS doing. Assuming Lance Berkman comes back strong and healthy – a big assumption considering the Cardinals’ medical staff track record – the Redbirds look to have an interesting problem coming their way in August. With Holliday, Craig, Beltran, and Berkman all attempting to get in the lineup (Adams should be in AAA getting every day ABs), Matheny will have his work cut out for him. But here’s how it should play out: A four-man/four-game rotation. Let Allen Craig travel between LF, RF, and 1B playing a different spot every day, and let the regulars at each spot take every 4th day off. Craig would also receive every fourth game off, and Matheny could mix in LH vs. RHP match-ups, etc. as needed. In other words, considering the knee problems Beltran, Berkman, and Craig all have this season – and the crazy number of “games played” Holliday is going to have under his belt by the time Berkman comes back – why not take advantage of the situation and get ’em in a rotation? Finally…Rob said he wanted the Cardinals to turn Allen Craig into a second baseman like Dan Uggla is for the Braves by next year. Uh…yeah…nice idea…except for the couple of near death experiences he had trying to turn the double play there last year. Not to mention the fact that he was moved from third base because he doesn’t exactly have the softest hands in the business anyway. 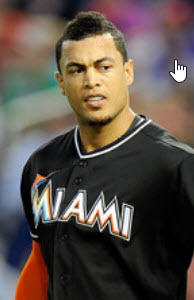 No…I think letting him play 1B, RF, and LF next year will work out just fine. Let him split 1B ABs with Adams while spelling Holliday and Beltran in the outfield. Alright…that’ll do it. I better stop before my computer runs out of battery life and I actually have to get up from the couch and plug it in. « Is Jaime Garcia Struggling with an Anxiety Disorder…?